Do you ever think about scrapping your out take photos? We have a lot of those around here, with three kids. It usually takes about 49 photos of craziness, to get the 50th perfect photo, you had in mind, when you started. 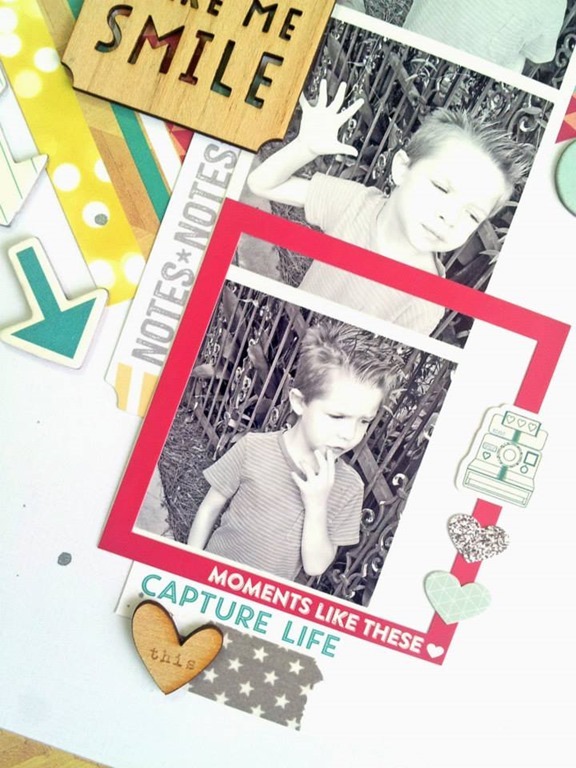 Using a photo film strip design is a great way to showcase your out take photos. I edited my photos and turned them Black & White. 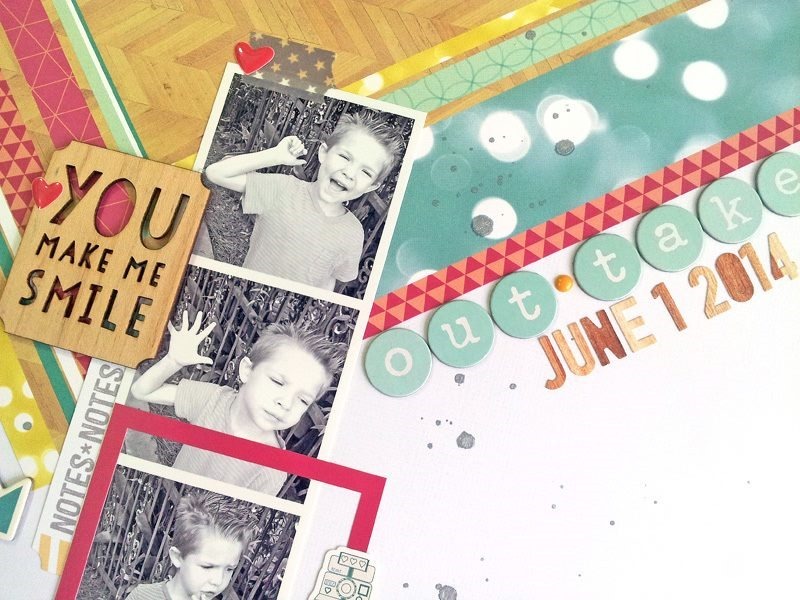 I love the contrast of the Black & White photos, with the different colors from the Echo Park Capture Life paper, included in the June 2014 Main Kit. I also thought it would be fun to create motion on my page, by following the diagonal design. I used the Dear Lizzy Thickers from the June 2014 Main Kit for my title, and created a row of arrows with the October Afternoon Flash Chip pack from the June 2014 Embellishment Kit. When I sit down to make a card, I usually grab White cardstock for my base. But there are always so many great colors in the Cardstock Add-On Kit, that I decided to do something different for this card. The saturated Pink cardstock worked really well with the touch of Gold in the American Crafts Thickers, that I used for my sentiment. And I paired a touch of the wood grain paper at the top and bottom of my card for contrast, and I think it gives the card a cool, retro vibe!